How does a fry cook at McDonald’s rise to the top of the corporation? Hear how Jan Fields, former president of McDonald’s USA, achieved career success while juggling work-life roles. She will present “Having it Your Way: Defining Yourself When ‘Life Happens’” from 6:30-8:30 p.m. Tuesday, Nov. 13 at McHenry County College’s Luecht Conference Center, located at 8900 U.S. Hwy. 14 in Crystal Lake. Sponsored by the Education to Empowerment Scholarship Program of the Friends of McHenry County College Foundation, this speaker event aims to raise awareness of women’s empowerment issues. "Very few careers are built by going in a straight line,” Fields said. “I like to think of it more like climbing a jungle gym—you pursue your strengths and sometimes that means going sideways for a bit as you discover what you're good at. But if you focus on the job you have while you plan for the future, you will achieve your dreams." "As a working mother with a demanding career, I often feel overwhelmed and stretched too thin," said Julie Arndt, Education to Empowerment Committee member at McHenry County College. "I look forward to hearing Jan Fields share her life journey and how we can balance it all in today's busy world." 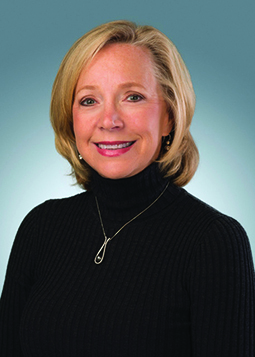 Fields has made Fortune’s list of Most Powerful Women and brings her expertise in marketing, strategic planning, risk management, production and human resources to several boards of director roles, including board member for Welbilt Inc., a leading global manufacturer of commercial foodservice equipment; board member for Chicos FAS, Inc., and board member of the Global Board of Directors for Ronald McDonald House Charities. In addition, she previously served as board member for the Monsanto Company and as chairman of the board for Buffalo Wild Wings. She also chairs the board of United Cerebral Palsy and the advisory board of Catalyst, a leading women’s organization. Her advocacy for people development and business leadership experience resulted in her being named to Forbes’ list of The World’s 100 Most Powerful Women, and the Wall Street Journal’s 50 Women to Watch list. She and her husband, Doug, reside in the Chicago area. “Jan Fields is a woman who clearly has empowered herself to attain great heights in the business world—what better example can we give to other women that they have the capacity to reach their fullest potential and achieve great things?” said Bev Thomas, coordinator of events and outreach for the Friends of MCC Foundation. The Education to Empowerment scholarship provides financial support and ongoing mentorship for female students in their final year at MCC and continues to assist them as they continue their education at a four-year college or university. Education to Empowerment has awarded $200,000 in scholarships to 25 female MCC students since 2013. The event is open to the public. Cost is $25 per person. Refreshments will be provided. To purchase event tickets, visit www.mchenry.edu/rsvp. For more information, call the Friends of MCC Foundation at (815) 479-7529.